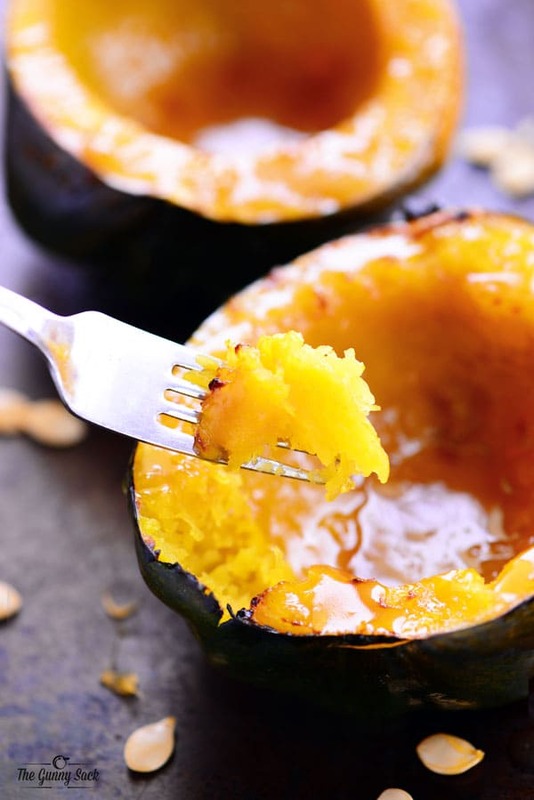 This Easy Acorn Squash Recipe is a healthy side dish and a great way to get more veggies in your diet! 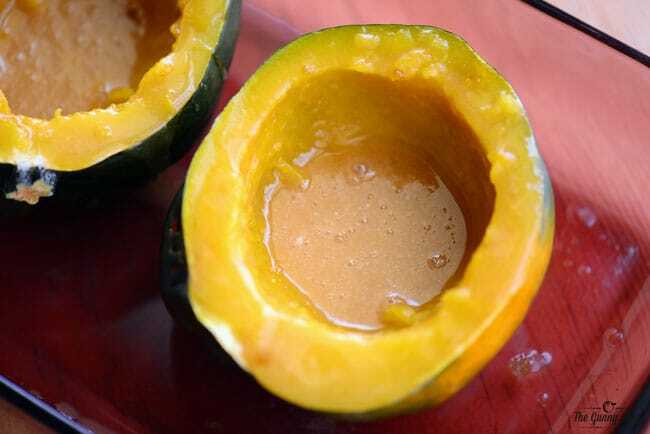 When I was little, I wouldn’t even taste squash and now it is one of my favorite foods. I went to one of those buffet restaurants with my family and I was so excited when I spotted squash as one of the buffet choices. I told my family that I had seen the squash and couldn’t wait to get some on my next trip to the buffet. They all just looked at me kind of dumbfounded and then they proceeded to get a huge laugh out of it. I didn’t mind though because I was the one who got to eat the fantastic roasted squash! 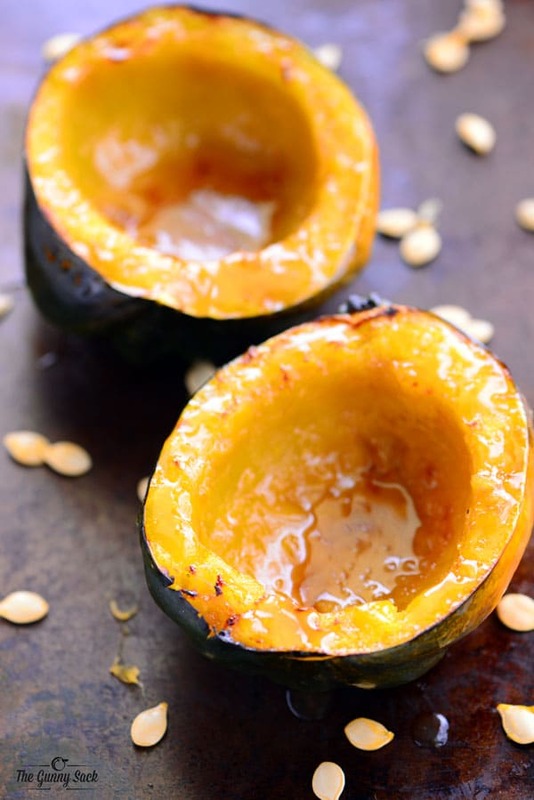 Today’s Easy Acorn Squash Recipe is one of my new favorites! I love making this recipe for lunch. I make the whole squash and put half in the fridge for another day. 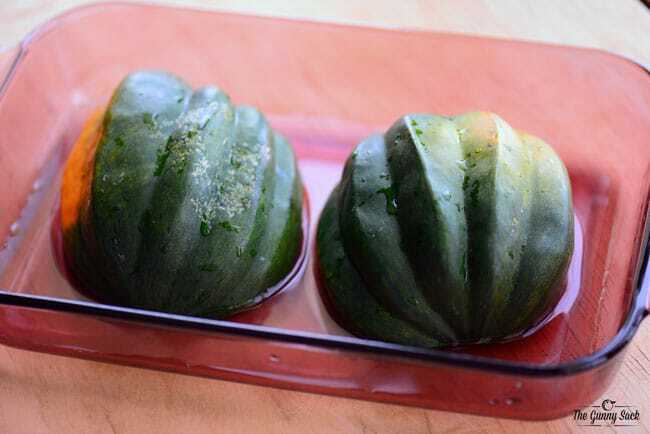 Cut in half and scrape out the seeds and pulp. Place cut side down in a dish with 1/4 inch of water. Cover with plastic wrap and microwave on high for 10-12 minutes. Remove the plastic wrap and flip the squash over. 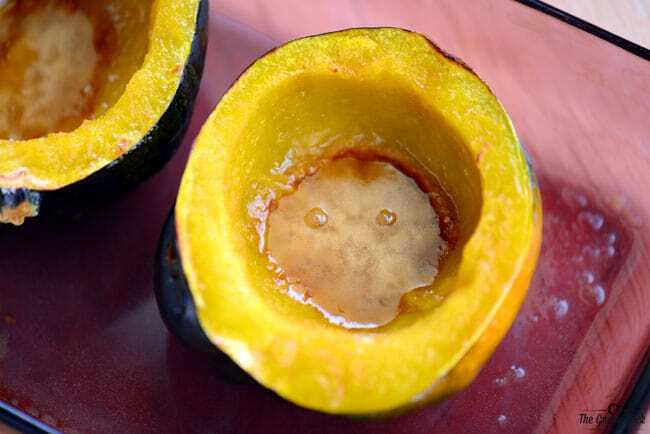 Coat the inside of the squash with the melted butter and sugar mixture. Broil on high for about 5 minutes, watching carefully, until slightly toasted. You can eat the squash like it is or you can scrape out the squash, mash it up and serve from a bowl. 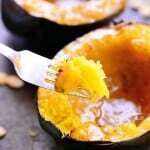 This Easy Acorn Squash Recipe is a healthy side dish that tastes like dessert to me! It’s a great way to get more veggies in your diet. 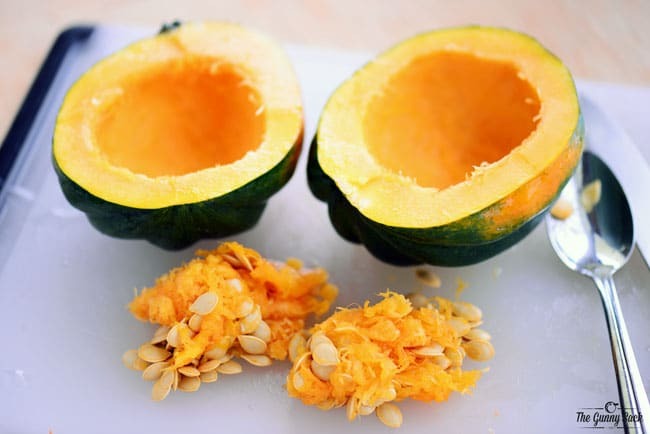 Cut the acorn squash in half and scrape out the seeds and pulp. Remove the plastic wrap and flip the squash over. Mix together the butter, syrup, sugar and monk fruit. 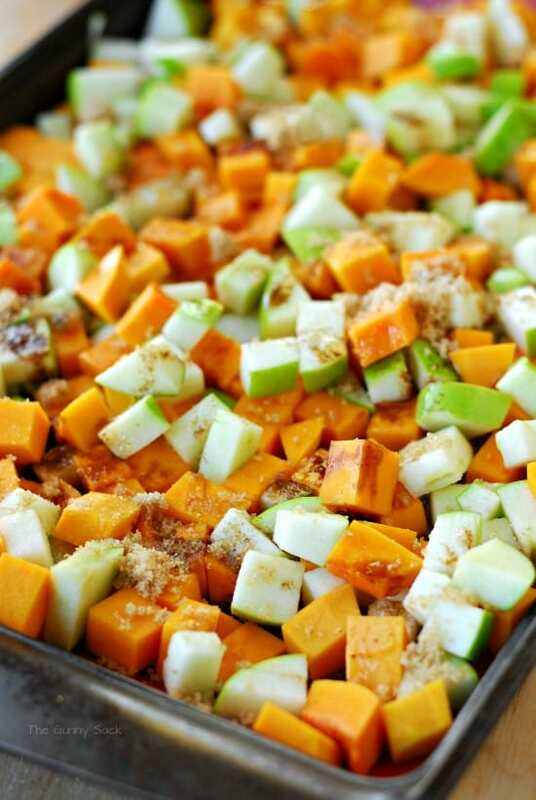 Coat the insides and the top edge of the squash with the melted butter and sugar mixture. Broil on high for about 5 minutes, watching carefully until slightly toasted. 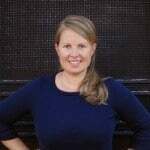 Hi Tonia! We love squash and grow acorn, butternut and spaghetti! Because I have a very small micro I do mine this same way but in the oven. I quite often use spaghetti squash instead of pasta and I do a twice baked squash with scallions, mushrooms, bacon and Parmesan. 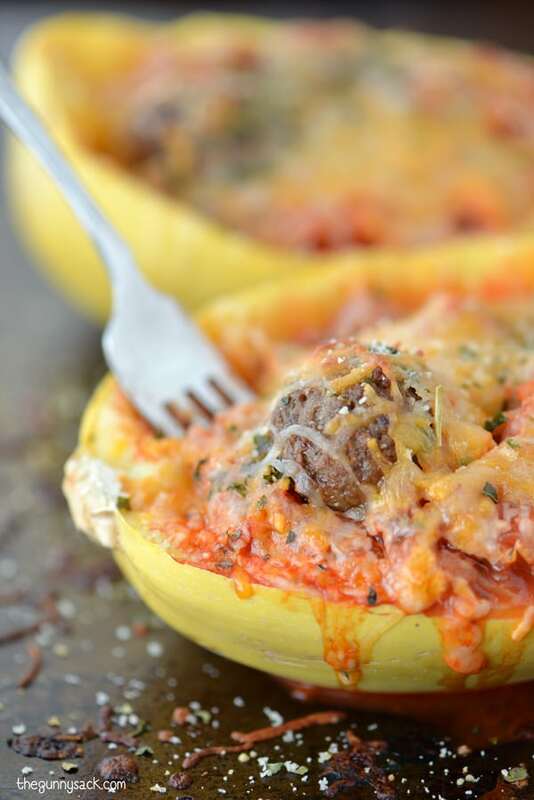 We grow summer squash, but the winter squash are our favorites!